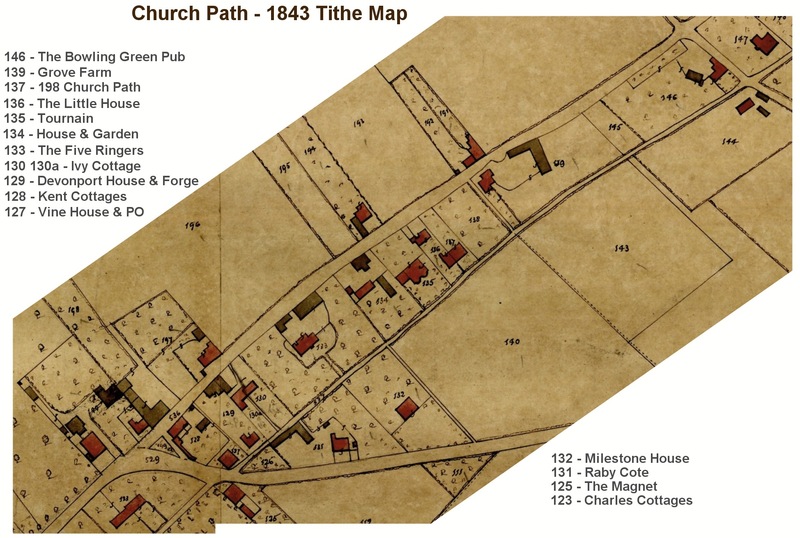 Tithe map extract courtesy of Canterbury Cathedral Archives. It was used extensively by the 2009-10 group in determining the facts about Church Path properties. The associated Schedule is at the Kent Archaeological Society research site. There is additional information on the printed schedule which was not copied across at Kent Archaeology transcription. The amounts paid are to two people: the Rector, and the Impropriators. The later persion is a group of people named as Devisees in Trust under the Will of William White who was the beneficiary of the tithes of Chamberlain's Fee. So we know where all the land was that was part of Chamberlain's Fee.